To kick off my new blog, I am excited to begin a series called Living Generously with Less. The theme through Christmastime will be Holiday Hospitality. This holiday season you don't need to hurt your finances while enjoying the act of giving. There are many ways you can bless others this time of year; in this series specifically through a hospitable heart! 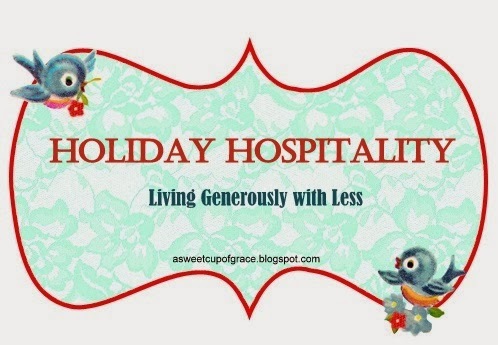 I'll be sharing real life, holiday hospitality that is happening in our home. The big plus is your children can be very much involved in this season of giving. May you be blessed and encouraged to have fun, be creative and reach out to others!